This old guy has nothing to prove anymore. He started (like most of us did) at local parties and clubs in the year 1989. This was the time of new-wave and new-beat. Through the 90's he played mostly at commercial clubs. In the magical year 2000 he became resident on Friday at the famous club Illusion and one year later he became resident on Saturday at Illusion/The level. 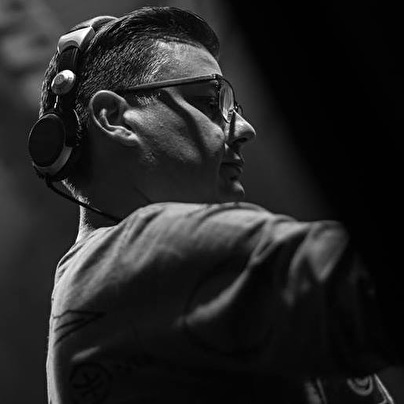 Together with his dj-dude Christophe!, he created the famous 'level-sound". Groove and electro-house was never that popular as it was that time! After 7 wonderful 'level-years", David decided to quit playing and focus on his main job. This was a very hard decision, but the combination of 2 different jobs was too difficult. But once you are in the scene, you just can't stop! In 2010, David makes his return to the club-scene. His first appearance was at Bar.a.bar reunion/Montini. To play again in front of more than 1000 crazy people, made him decide to start playing again more often. Now he's playing on regular base at Bar.a.Bar reunion, Limited, Illusion Re:united @ La Rocca, … So check this guy out at your local party!! !